IEP is a cross-platform Python IDE aimed at interactivity and introspection. Its practical design is aimed at simplicity and efficiency. help the programmer in various ways. I use IEP in every day work and I like it. From my point of view, everything is perfect… except the syntax hilighter colors. And IEP is not themable yet. Nevertheless, IEP is written in Python and you just have to edit one file to change the editor colors. 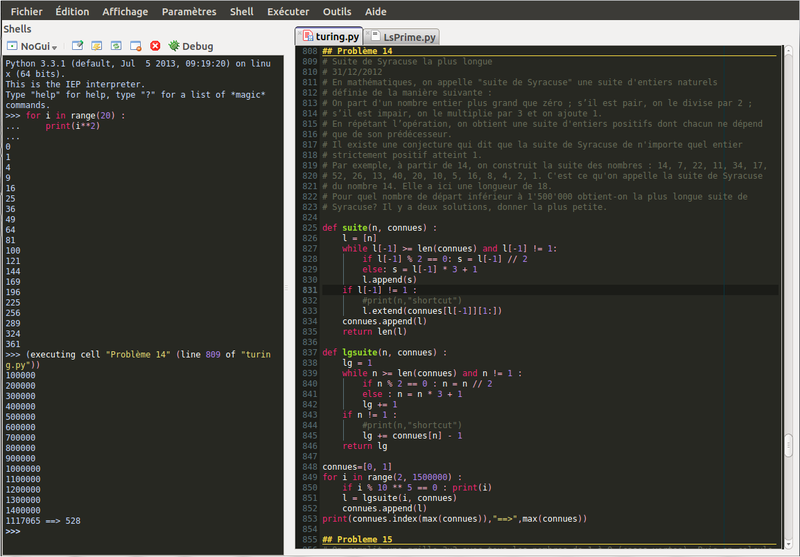 I recently tried Sublime Text (wonderful… but not free) and found the colors theme very nice. This post shows you how to use IEP with (not exactly) Sublime Text colors. Restart IEP et voilà ! To disable the theme, just comment the line : theme = "SubInsp"